Steve Buddell joined BDO LLP, Forensic Technology and eDiscovery in March 2014 on a fixed term contract in a role dedicated to growing the brand and bringing FTech services to the market. Prior to this Steve Buddell was a managing director with FTI Consulting, based in their UK offices in London. Steve was responsible for the delivery of Electronic Evidence Consulting incorporating all aspects of data identification, through forensic acquisition of data, data processing and delivery of data to a number of review applications. Working within a global organization, Steve was also responsible for UK marketing strategy, recruitment and personnel development. Steve has over 18 years of experience in the delivery of forensic IT services and solutions to support criminal and civil investigations in the public and private sectors. He has focused on engagements requiring solutions to deal with vast volumes of data and hardcopy material in respect of litigation affecting multi-national companies and high profile individuals. This has required Steve to build, work with and manage a number of multi-skilled teams in Europe, Asia and South America and to provide solutions to local and international legal requirements applicable to the movement of data between jurisdictions. Before joining FTI Consulting, Steve was a senior manager with KPMG Forensic where he had responsibility for their Forensic IT capability in the UK. Having inherited a group of professionals, Steve set about building a very strong team that (he freely admits with a degree of good fortune) he transformed from being considered as a support function into a leading service line for KPMG LLP. Steve is also able to draw upon 19 years of experience working in criminal investigations for HM Inland Revenue (now HM Revenue & Customs). He started in Surrey as an investigator with the Boards Investigation Office and moved to work in London for the Special Compliance Office. 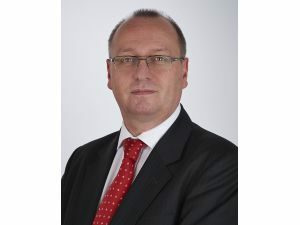 Ultimately, Steve migrated to forensic IT in 1994 and became the senior manager of the HM Inland Revenue National Forensic IT Team, based in Nottingham. In the public sector Steve has worked with many police forces and government agencies including the Serious Fraud Office and (the then) HM Customs and Excise. In the private sector, Steve has continued to support these agencies however his experience is now more utilized by the private sector, particularly in the area of litigation and support of eDiscovery and electronic review. Steve has been involved in many large-scale fraud cases and litigation engagements that have required hardware, software and documents from numerous locations and a diverse range of IT operating systems to be identified, captured, logged and processed for delivery to investigation and/or review teams. 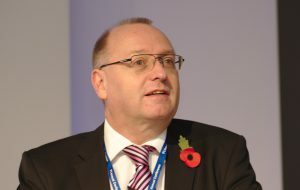 Steve is also a founder member and Treasurer of F3 (First Forensic Forum) and was the chairman of a cross-industry committee responsible for the development of recognized qualifications in Forensic Computing in the UK.